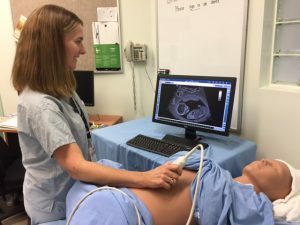 The Perinatal Research IMaging Evaluation (PRIME) Centre is a new ultrasound research facility located in Vancouver at the BC Women’s Hospital + Health Centre. Funded by a Canada Foundation for Innovation Grant, awarded to WHRI member Dr. Denise Pugash, the PRIME Centre is a hub for researchers to create substantial advances in health care through the use of cutting edge technology. PRIME provides the infrastructure and enables opportunities for researchers, educators, and clinicians to improve the health of mothers and babies in a collaborative environment, progressing from simply describing pregnancy and birth conditions to understanding their conditions. The PRIME Centre has a suite of both stationary and portable equipment and is equipped with its own Picture Archiving + Communications System (PACS) and offers opportunities for training in basic and advanced obstetrics ultrasound techniques using a state-of-the-art ultrasound simulator machine. To learn more about PRIME equipment and opportunities for research, click here. Previous Previous post: Congratulations to WHRI recipients of the CIHR Fall 2017 Project Grant Competition!